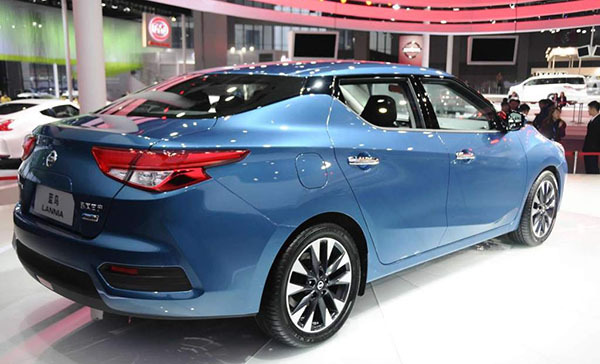 Burlappcar: Nissan Lannia: Why not the next Sentra??? I mean really, why not?? Our Sentra is almost 6 years old. It never looked really new or modern. This does look like a shrunk Maxima. Sure, it does have that floating roof that many love to hate. Next is the Altima. Which means the new Sentra is still at least a year away. Or more. The Lancia actually looks current. It has been on sale in China for about a couple of years now. I am just surprised Nissan didn't use this as the new Sentra. Same thing with the Navaro pick up. It should have been the new Frontier. 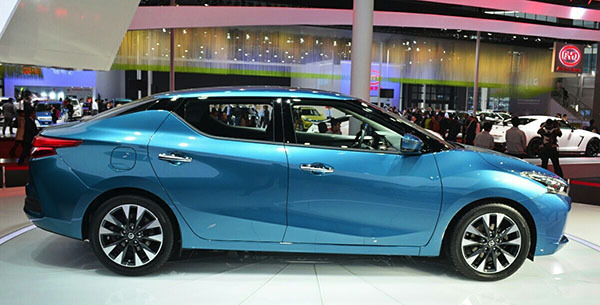 Nissan needs to deviate from its use of cheap interior plastics surfaces as it serves as a major shopping deterrent. The same is true the floating roof design which is not welcomed. This is ugly, but the Sentra has been ugly for many generations, so why not. At least this has SOME style to it. This rolling eyesore is ugly, ghastly and homely. The bumpers would have to be re engineered for the US market, and that's expensive. I'm no fan of the fake floating roof, but think the design language works best on this small, short platform, gives it personality. This thing is beyond hideous. Why would you want this as the Sentra!? looks best in that blue color. The rear 3/4 view looks kinda goofy...bulbous. Makes the rear tires look too small or under tired for the proportions. The interior looks very decent. Nissan, NO ONE bought the Maxima... so drop this current design theme pronto. This weird rear window pillar thing is SO over. Find something that is actually appealing to new car buyers. Why are they creating a huge blindspot in the back? If this is form over function, I hate to inform Nissan that it doesn't look attractive. Different for sure, but not good looking. Damn I miss Nissan before Renault molested it and turned it into the turd factory it is now. Wrong. Last I checked the latest Maxima has actually been selling well. Year to date sales are almost 60,000, up 6% from 2016. So yeah maybe you shouldn’t spout off nonsense that no one bought it. Seems to me plenty of people have. 100% correct about defending the Maxima. 2015 sales were 40 359. Which jumped to 62 670 last year. And so far they sold almost 50 000 of them this year. These are very good numbers for its class. This is a subcompact Car. 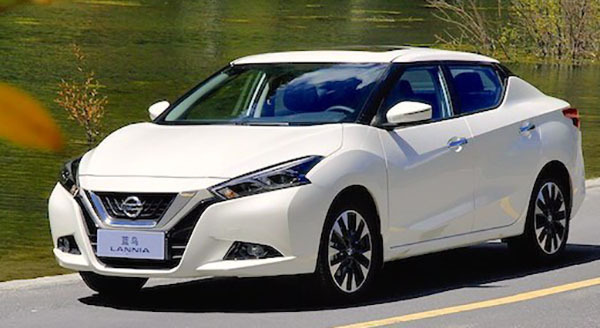 It could replace Nissan Versa, but could never replace the Sentra!